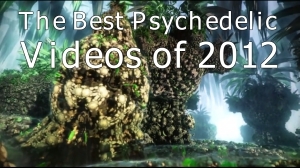 These 25 videos have been selected from over 3000 psychedelic videos which have been featured on the DPV over the past 7 years. 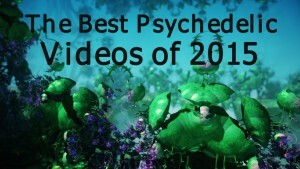 If you are looking for our 2012 best of all times list, you can find it here. One of our DPV favorites, this 360 degrees video by American Indie pop group Wild Child offers a simultaneously trippy and laid back experience from the landscapes of Austin, Texas. 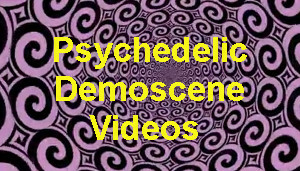 A great video to trip out and chill off with. (Original post). Cyriak, the web’s mad genius of consciousness-altering visuals, deconstructs 1950s style visuals and creates a complex swirling web of hypnotic disorientation. (Original post). San Jose DJ Tanner Pettula AKA Getter is a seriously screwing with your brain in this melting-point psychedelic video. 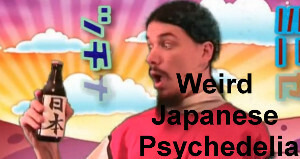 If you liked this one you might also enjoy his sequel video to the toxic hamburger tails rip and dip. (Original post). 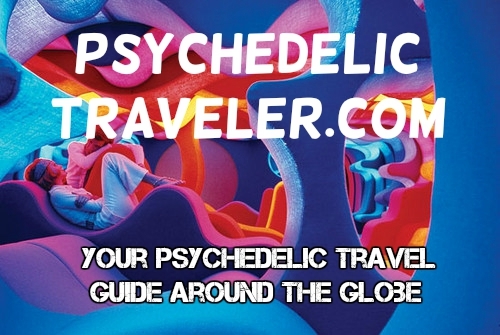 Multiperspectivism and multi-dimensionality are fundamental motifs of psychedelic aesthetics and philosophy. Radically psychedelic, Georges Schiwzgebel’s “Jeu”, takes the viewer into a dizzying yet joyful world of ever-changing perspectives. 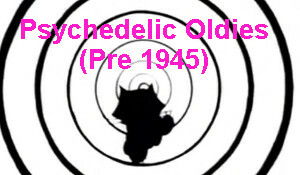 It is in the second half of the clip that things become really dynamic and chaotic, as our perception of the world keeps re-orienting itself to the changing relations of the objects on the screen. (Original Post). An exquisite work of meditative psychedelia, Thomas Blanchard’s memories of paintings delves into microscopic bubble universes and finds endless infinitesimal detail in the interactions between paint, oil, oat milk and soap. (Original post). 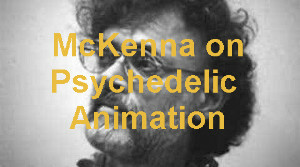 Terence McKenna launces on an inspired rant about the psychedelic experience and it’s meaning to mankind, masterfully mixed with inspiring visuals. (Original post). Coldplay’s UP and Up video, directed by Vania Heymann and Gal Muggia is a surrealist masterpiece bringing together all types of disparate elements like cars driving on the rings of Saturn, a gymnast jumping over fields bombarded by napalm bombs, a ferry docking inside a bathtub, or divers inside a washing machine. Rene Magritte couldn’t have done it better. (Original post). Of all the crazy OK Go videos, this one is probably the craziest of all. Shot in double speed, with hundreds of Japanese performers on Honda UNI-CUB’s (Honda sponsored the making of the video) it defies belief. However, what you are about to see is real, even the most incredible patterns which emerge by the end of the clip. (Original post). DYE’s “She’s bad” chooses a brilliant animal-world set-up for a femme-fatale story of seduction and betrayal. Exquisitely brought together with highly creative use of multi-layered visuals. (Original post). The Tune Yards’s “Water Fountain” is a refreshing burst of psychedelic energy. 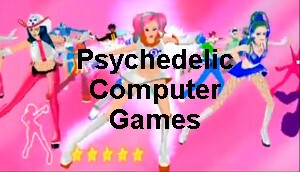 Without too many fancy effects, the group creates a playful and wacky universe which makes you want to jump into the screen and join the party. (Original post). Ok Go’s The Writing on the Wall is a phenomenal masterpiece of disorienting optical illusions. (Original post). “Chick Chick” by Chinese singer Rollin’ Wang lashes the viewer relentlessly with bright scintillating colors and animal sounds. We love it! (Original post). Australian artist Andy Thomas has spent years “taking photos of plants, insects and machines and compositing them with artificially created form (…) corrupting nature with technology, by sampling sounds of the forest and running them through various computer programs.” A breathtaking video. Micah Buzan is an extraordinarily gifted musician and animator who hand-draws his material with an “acid pencil” as my DPV colleague Holographic Elf aptly called it. There is something intensely hallucinatory about both the spacey music created by Buzan, as well as the by weirdly transforming figures he brings to life. Buzan’s work has been amply featured on the DPV over the past years. You can check out more of his work here. (Original post). A bunch of ducks party wildly and colorfully in a video which reeks of pure mischievous and trippy fun. (Original post). 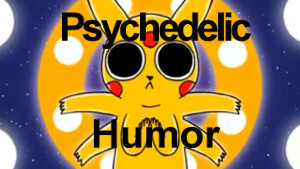 The perfect psychedelic children’s story which isn’t really a children’s story at all. Bianca Giaever asked a six year old what her movie should be about, then she went about and followed her instructions word for word. Language creates reality. (Original post). Japanese director Hideaki Inaba created this spectacular video showing mysterious underwater creatures performing their immaculate dances. 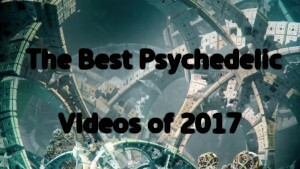 Andrew Thomas Huang produced a number of dazzling psychedelic videos over the past couple of years. Solipsist stands above them all. 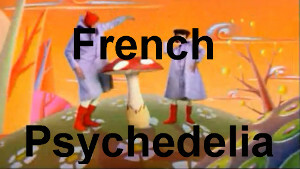 The video contains some gripping psychedelic imagery, exhibiting Huang’s unique psychedelic style and vision to a full extent. (Original post). 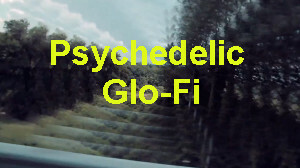 Argentinian art direction and motion graphics design group 2viente produced this video spectacular and cheerful video that serves as a veritable psychedelic treat for any time. (Original post). The fractals created by the birds in the sky can sometimes be more beautiful than anything ever created with the flashiest CGI effects. (Original post).